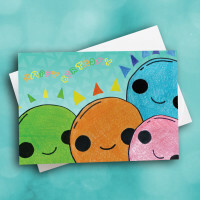 A cute and friendly birthday card to send some cheery birthday wishes. 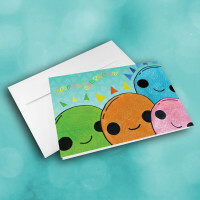 Send some light and a smile with your birthday wishes with this adorable greeting card. 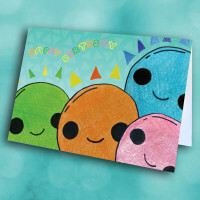 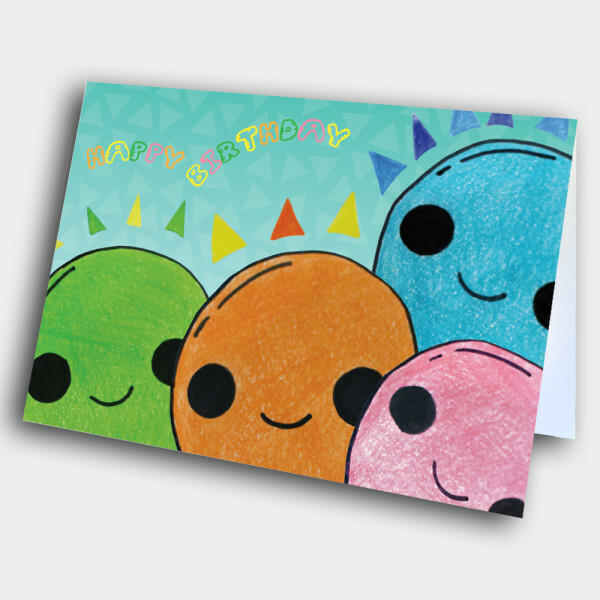 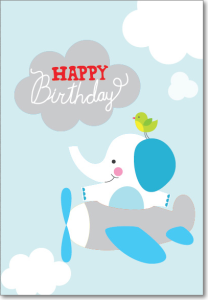 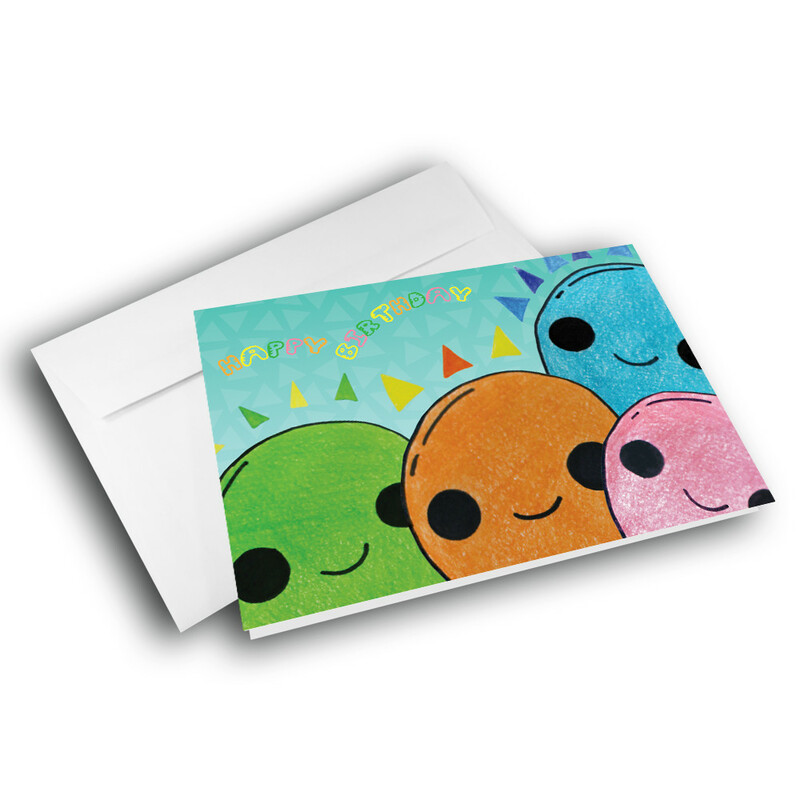 Four colorful, cute balloons smile out from the front of this card, against a patterned, teal background. The bubbly greeting bounces along the tops of the balloons. 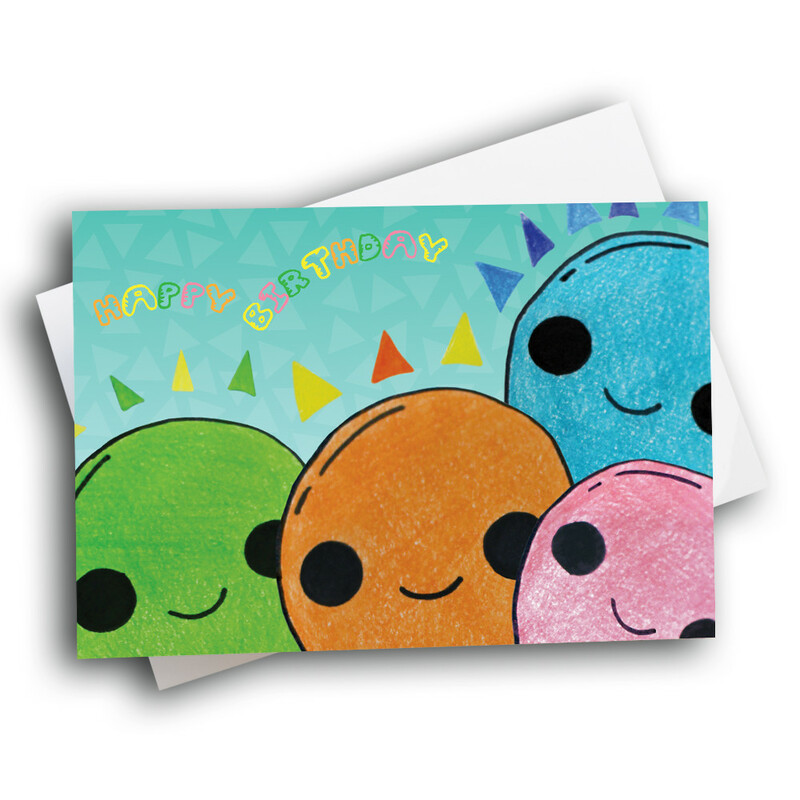 Make this a personalized birthday card by adding a custom message inside.